Test independently hockey players. Sport Testing is a comprehensive solution for sport testing and evaluating the level-conditioning and coordination abilities of a hockey player. Moreover Sport Testing includes a set of tests specifically designed for hockey players. We recommend using the Sport Testing not only for testing and evaluation, as well as a normal part of daily training, due to the possibility of immediate and objective feedback. 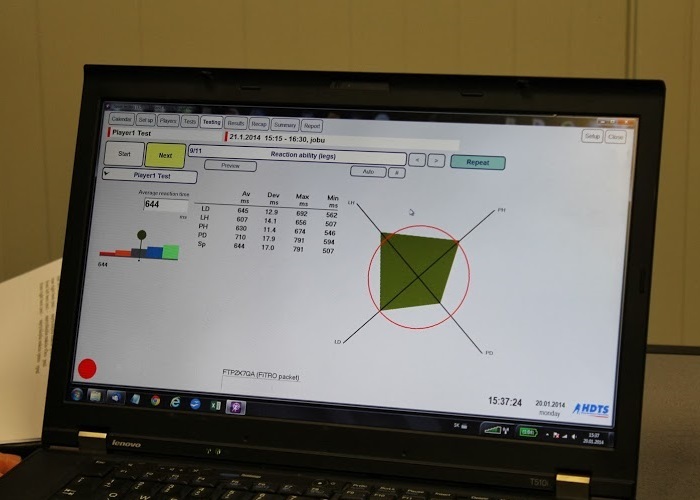 Installed sport testing on computer, sport testing devices.